Webinars » Webinar: How to get more value out of my Connections, Domino, or X-Pages investments. Webinar: How to get more value out of my Connections, Domino, or X-Pages investments. Have you invested in Connections, Domino, or X-pages as the foundation for your intranet and team collaboration needs? Are your line-of-business users having difficulty finding information and collaborating with colleagues in one easy-to-use environment? 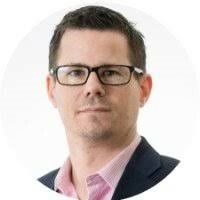 Join us to hear how Matthew Packer, Digital Transformation Manager at Mears Group LLC, a UK consumer services firm, on-boarded 16,000 mobile employees in just months. At the same time, his team made MearsConnect (the company’s intranet) a more engaging and productive teamwork platform. …Made every employee’s first mobile experience with the new APP was easy and engaging. A failed first-experience would greatly erode trust in the “new way of working” initiative. …With an intuitive interface that presents content that is compelling and that makes it easy to engage with colleagues. …While consolidating every employee’s work into a single work platform to access ALL their applications and teamwork. The Mear’s team engaged with partner workplaceON to provide an easy “up-fit” to Connections and Domino environments that vastly improves the user’s journey for a “best possible experience”. The workplaceON team will also be available on the call to answer your questions. Please register here …Click Here to Register…. I look forward to joining you in the e-meeting!